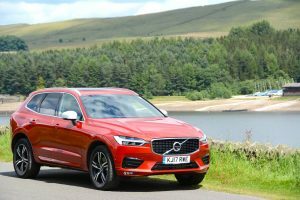 The new Volvo XC60 brings a sense of Swedish calmness to the mid-size SUV sector, but do you go for the petrol, diesel or plug-in hybrid model? Volvo’s new XC60 aims to offer the good points of the XC90 in a more compact – and affordable – package. This first drive is an initial review of the petrol and diesel models; our full review of the petrol plug-in hybrid version is coming soon. 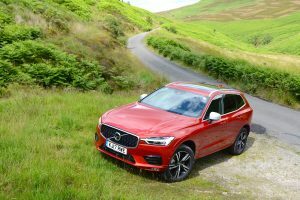 Volvo would like you to think of the new XC60 as a unique car in its own right, but you can’t get away from the fact that in many respects it’s a smaller XC90. 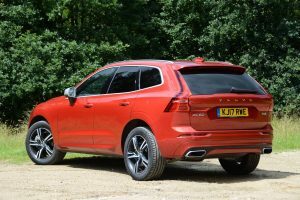 This isn’t a bad thing; the XC60 looks good on the outside, and the elegant interior is a refreshing change from German rivals, with a high quality feel and minimalistic design, rather than the approach from, for example, Mercedes, which provides a cabin full of lots of shiny things. Like the XC90, the underpinnings of the XC60 result in a refined driving experience. All XC60 models are all-wheel drive, there’s no front-wheel drive option, and all models come with automatic transmission. 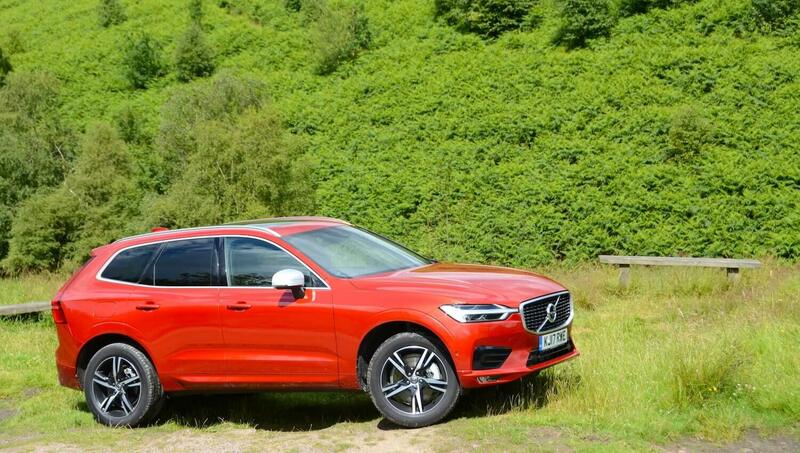 The XC60 is smaller than the XC90, however it’s still a fair size, which means it’s a practical and spacious family car. Here at Green Car Guide our main focus is on how good a car is to drive, along with its efficiency. However we should say a few words about the XC60’s technology. 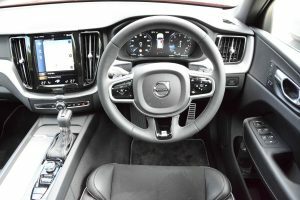 As you would expect with a Volvo, there’s lots of safety systems, such as Pilot Assist semi-autonomous drive, but one of the car’s main party pieces is the central 9-inch touchscreen. Okay, so it’s not unique – virtually all new cars now have touchscreens, and we’re not big fans of all car controls being hidden away on screens, as it can be more dangerous trying to find information on a central screen when you should be looking where you’re going. And Volvo’s screen does feature a lot of information, however it’s executed in a quality way that reflects the premium approach of the rest of the interior, and you can operate many functions by voice control. However our favourite details, as with the XC90, are the starter button and the drive mode dial; they provide a splash of extravagant (yet tasteful) design in an overall restrained interior. We drove the T5 petrol (the car in the photos) and the D4 diesel on the XC60 launch event. As reported above, both models deliver an overall refined driving experience. However the diesel engine seems to fit in with the personality of the XC60 better than the petrol engine, as it’s more laid back and calming, as opposed to the more revvy petrol unit. 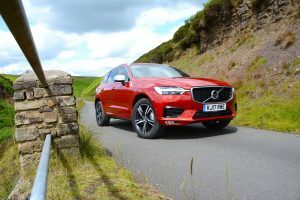 With every XC60 model being all-wheel drive (even though under normal conditions almost all of the engine’s torque is sent to the front wheels, but when needed it can instantly distribute up to 50 per cent to the rear wheels), there’s a feeling of surefootedness, with minimal scrabbling of the front wheels for grip. The chassis is tuned for comfort: the ride is comfortable rather than sporty and firm, the handling is reassuring rather than agile, and the steering feels well-weighted but not particularly sharp. The D4, D5 and T5 models have five driving modes – Comfort, Eco, Dynamic, Off Road and Individual. The official combined fuel economy of the Volvo XC60 T5 is 39.2mpg, 55.4mpg for the D4, and 51.4mpg for the D5. 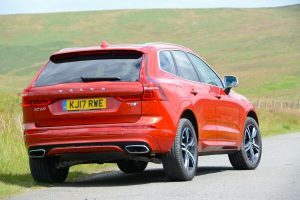 The relatively short drives on the launch event supported the expectation that the diesel appears to be considerably more economical in real-life driving than the petrol. We’re due to live with the 407hp, 49g/km CO2 plug-in hybrid for a week very soon, so we’ll report back on the relative merits of all three powertrain options. 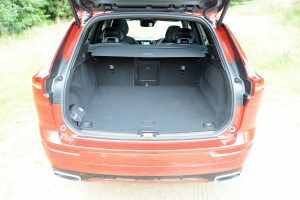 It’s worth mentioning that an SUV isn’t the most efficient of body styles, either in terms of aerodynamics or weight, so if you want space and the best possible economy from a car, then you may want to consider something like the Volvo V90 Estate. The XC60 range is comprised of the D4 and D5 diesels, a T5 petrol and a petrol-electric T8 Twin Engine plug-in hybrid. The engines in the XC60 are all 2.0-litre, four-cylinder units. Power ranges from 190hp to 407hp. There are three main trim levels – Momentum, R-Design and Inscription – all of which can also be specified in Pro form. 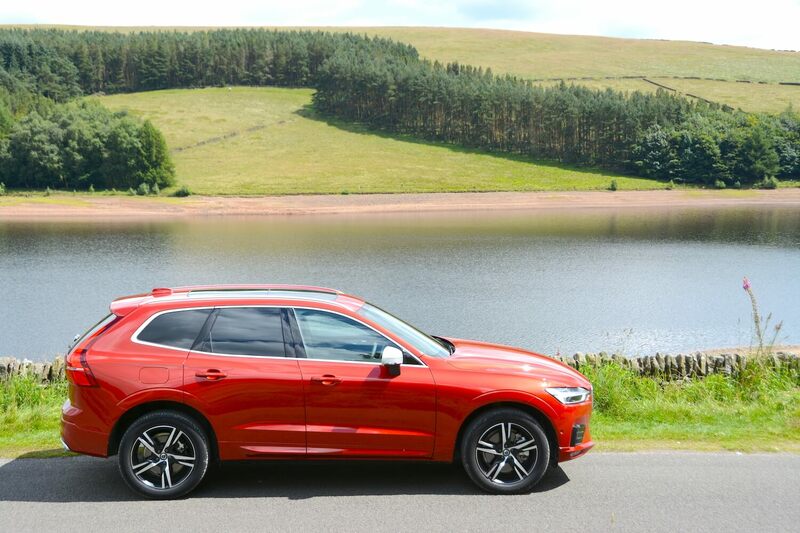 Prices for the XC60 start at £37,205 for the D4 AWD Momentum and £43,205 for the D5 PowerPulse AWD R-Design, and rise to £57,950 for the T8 Twin Engine AWD Inscription Pro. 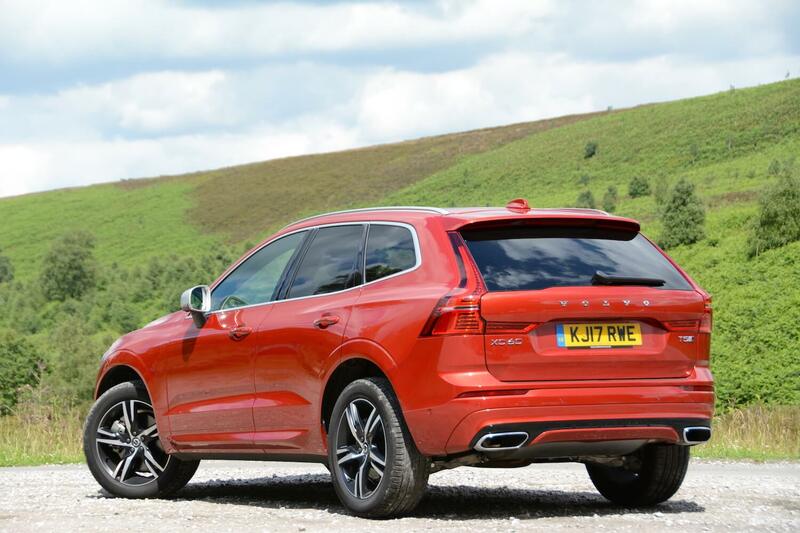 The XC60 has a useful towing weight of 2,500kg. 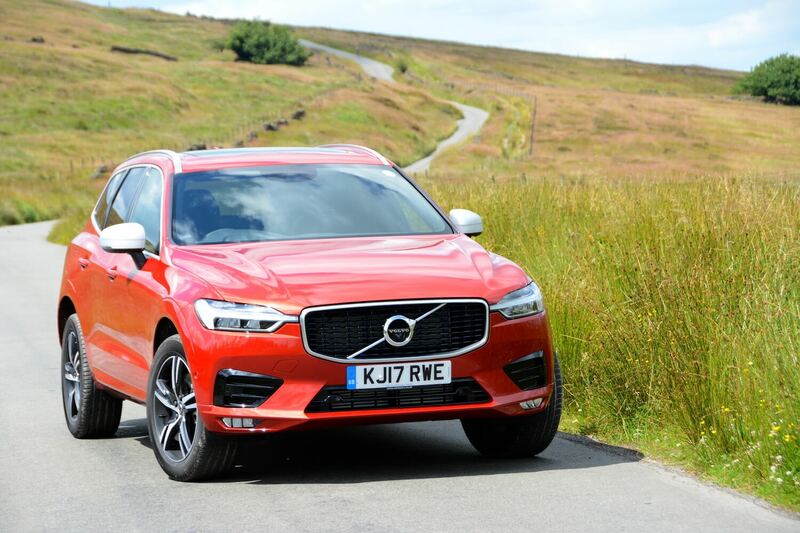 The new Volvo XC60 is a welcome alternative to the range of premium mid-size SUVs. Like most Volvos, it’s a relaxing and comfortable car to drive – the diesel engine option more so than the petrol. It offers good amounts of space, and a refreshing and upmarket interior environment. So with all the negative coverage in the press about diesels, should you buy a petrol XC60? Based on our short initial drive, we’d opt for the diesel (probably the D5 in preference to the D4, as it still has an official economy figure of over 50mpg); it’s less revvy, it’s more torquey, and after our highly unscientific fuel economy test, the diesel appears to be a lot more economical in real-life driving. Volvo’s customers seem to agree with us; the expected sales split is D4 AWD – 53%; D5 PowerPulse AWD – 25%; T5 AWD – 10%; T8 Twin Engine AWD – 12% – ie. petrol power accounts for just 10% (although it’s worth noting that Volvo under-estimated the sales of the XC90 plug-in hybrid and they may have done the same with the XC60). The latest Euro 6 diesels are genuinely much cleaner than older diesels, however if you do a lot of short driving cycles in urban areas, such as the school run, we’d suggest to opt for the petrol plug-in hybrid – if you can afford it, as it’s much more expensive; a full review is coming very soon. In the meantime, the XC60 gains a respectable Green Car Guide rating of 8 out of 10.